Give yourself some adrenaline moment. Recently stumbled upon one indie Rock band while listening to one local station. One song led me to fantabulous galore of orgasmic musical world. This is just my view, nothing to be taken seriously when I wrote 'orgasmic'. Never been introduced to rock band so cool as this. They're called Gossip. I like almost all songs from their latest album 'Music for men'. This never happened to me before. I was selective and few of the songs were totally worthless and used to get rid of them. 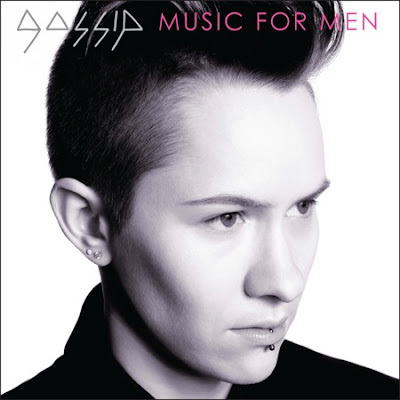 But 'Gossip - Music for Men' which I paid $20(w/taxes) has almost all songs which are totally undeniable. All fav'd. Meantime, I'm checking their older album and listening to their previews. Of all, Standing In The Way Of Control song is pretty convincing and awesome. Amazon let me download it for almost a dollar. Some of the peeps actually asked me the music that played in background on one of those my personal videos posted online and I decided to come up with this post. You can check that video of mine @ here where I was cooking some stuff and coolest music in the background. I had it on some other video sharing sites too. Anyway, never mind. If you like it, get it, buy it, guys. These people are truly rocking. I'm slowly changing my taste of music. Geez.